Hanhart is synonymous with reliable and robust high precision watch instruments for use in the air, on land and on water. The Primus Pilot is a perfect example of this, underscoring this Swiss/German brand’s tradition and unique know-how. 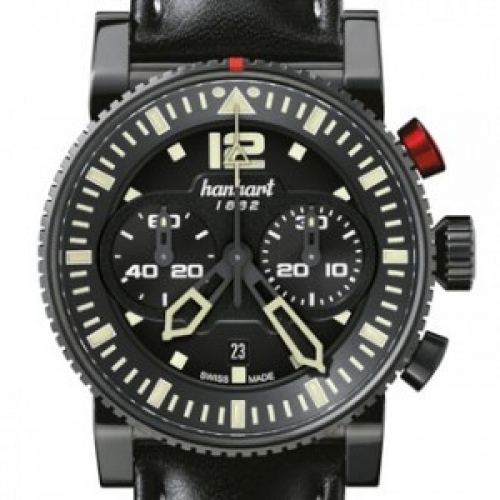 Hanhart has chosen an elegant black for this re-interpretation of one of its legendary aviator chronographs.